I went to a flea market over the weekend, and had an amazing time. Here is a sneak peak of my cell phone photos, until I get my office computer back (bought a new one and its being set up) and can download the photos off of my camera. 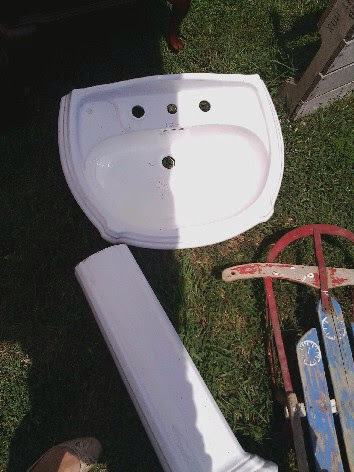 I bought this pedestal sink for $25. I figured it was a pretty good deal at the time. Then I got home and found it online for $705.40. Yeah, I did a major happy dance after that! I really liked the sink from the get go, but when I found out what a great deal I got, I was thrilled! Now for the best find of the day! 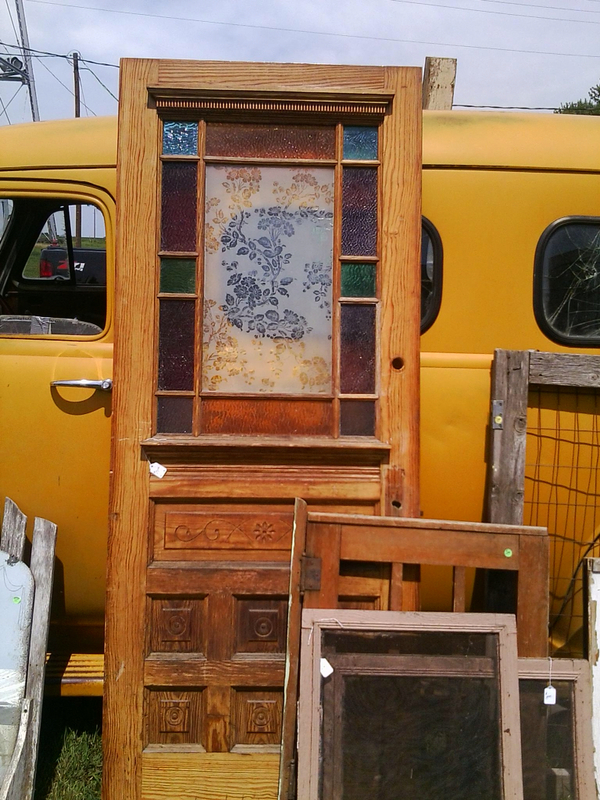 This door is the most amazing, wonderful, beautiful thing I have bought in a really long time, maybe in my life. This is going to be the pantry door in the old house! There are some frames leaned up against the front of the door, but you can see part of the detail on the bottom half of the door. I can't wait to tell you more about the lovely people who sold me the door and what I'm planning on doing with it! I'll be back soon to tell you all about the other finds from the big day and tell you how the door traveled over two hours to get home and all that went into getting it here in one piece! What's the best thing you've found at a garage sale, flea market, etc?